Our members promise to meet The Checkatrade standard and agree to have feedback from their customers published online for all to see. Checkatrade encourage and recommend you to make all reasonable efforts to discuss your issues directly with the company concerned to see if a mutual resolution can be made. Whilst Checkatrade will undertake a level of investigation, our aim is to remain impartial throughout, supporting where we can both parties to a reasonable resolution. Checkatrade will contact the company to discuss your concerns as this encourages a resolution. If you do not wish for Checkatrade to contact the company we may be able to investigate the complaint but cannot publish your comments. Your complaint will be kept on record which will allow us to build up a picture of how the company conducts their business.  Checkatrade can only assist you with complaints about Checkatrade members (this includes any complaints up to a year prior to the company becoming a member). The complaint must be within a 24 month period from the day the work was completed, or outside of this date range we can only review complaints if the guarantee or warranty is in place. Appointment history is displayed on the website; all other pre-work reviews will be recorded internally. If necessary, Checkatrade may ask for evidence of work carried out. In the absence of evidence we will be unable to publish the complaint. Checkatrade will not publish anonymous comments or those from third parties. If court action is being taken by the customer, the complaint will be published and remain published if the court rules in favour of the customer. If court action is being taken by the trader, the complaint will be kept on hold until the courts verdict and published if the court rules in favour of the customer. In any event we require proof of a stamped court application. If a satisfactory resolution is obtained, you are welcomed to decide whether you wish to continue with your original comments, to withdraw them or to submit new feedback. We aim to respond to all Complaints within 24 hours. We aim to publish all complaints within 21 days. All feedback is published in order of date of work. Any published complaints will not show the customers details, for example name and address. Checkatrade reserves the right to edit comments for length, spelling or clarity. We will not publish names or abusive language. In any event, please do still notify us of your experience. Your comments are important and will be recorded internally. This will help us build up a picture of this company and the way in which they conduct their business. Get an instant boiler quote in seconds. To make an enquiry or ask any questions, please submit the form below and we will get back to you very soon. ...or alternatively call us on 01925 713293 or email us at hello@bumblebeeheating.co.uk. If other, how did you find us? Opt-In Opt-In I consent to receive occasional emails about your products and services that are relevant to me.